1. Recommended for USB2, SSI2, and XPRS families of products. -5V/0.1A is generated for ISA cards on-board of the USB2 / SSI2 / XPRS card after connecting ISA-PWR-XR. 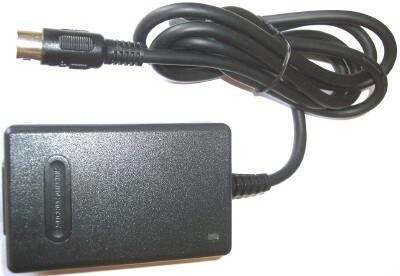 100-240V / 50-60Hz AC power outlets. NOTE: The ISA-PWR-XR NEEDS A SEPARATE POWER CORD. NOTE: If the peripheral card(s) needs/uses higher currents, please contact us. We can provide for purchase a 50W power supply with the following parameters: +5V/4A, +12V/2A, -12V/0.5A.